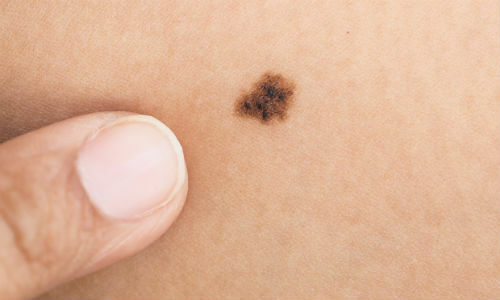 Moles are a form of pigmented lesion. Benign (non cancerous) lesions can simply be left alone. However if your mole bothers you in any way your consultant may recommend removal (excision). Skin lesions are usually removed under local anaesthetic. After careful examination, the area around the mole will be cleaned with anti-bacterial solution to limit infection. There may be a surgical drape placed around the area to ensure a sterile working area. To remove the mole, your surgeon will cut all the way around it using an oval cut. The mole(s) will be placed in specimen jar(s) and sent to a lab for analysis. Your surgeon will close the wound with stitches (if needed) and cover it with a dressing. You should be able to go home very soon after your procedure. If you experience any pain following your mole removal, over the counter pain relief such as Paracetamol can be used. Results of the analysis will be given to you by your consultant or GP. Sometimes your surgeon will ask you to return a few days following your mole removal to inspect the wound and change the dressing. If the wound area becomes red, swollen or bleeds be sure and contact your surgeon or Outpatient Department for advice. You should be able to return to work the day following your procedure unless your work puts a strain on the area stitched. Be sure and discuss your return to work with your surgeon. Depending on what area is stitched you will need to visit the Outpatient Department or practice nurse to have your stitches removed.